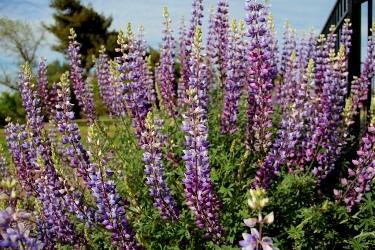 Perennial shrub native to coastal and Sierra foothills. Extremely drought tolerant after established. Spring blooms of blue/pink flowers on spikes. Dormant in summer but retains leaves. Needs good drainage. 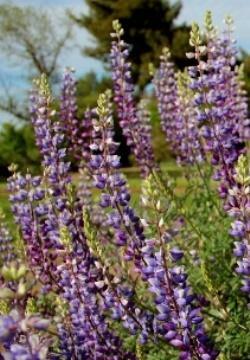 Use as an accent shrug among other plants that have different bloom timing. Fuschias, Penstemons, Chrysothamnus, Ceanothus. Does not need summer irrigation after established.